Now, that’s a catch well worthy of photograph. Croatian Sea is full of life and some of its beings are real challenge to catch. People who consider themselves skilful fisherman are wholeheartedly invited to join the naval adventure on their vacation, and the possibilities are quite broad. Should you rent a vessel and explore the Adriatic seas on your own, or will you put your trust in a guide who will show you hidden spots and places of fascinating beauty? Maybe you are more a type that will just hop on a tiny boat and help local fisherman with their daily catch? Or replace the salty waters with fishing spots next to Croatian lakes and rivers? The choice is completely up to you. 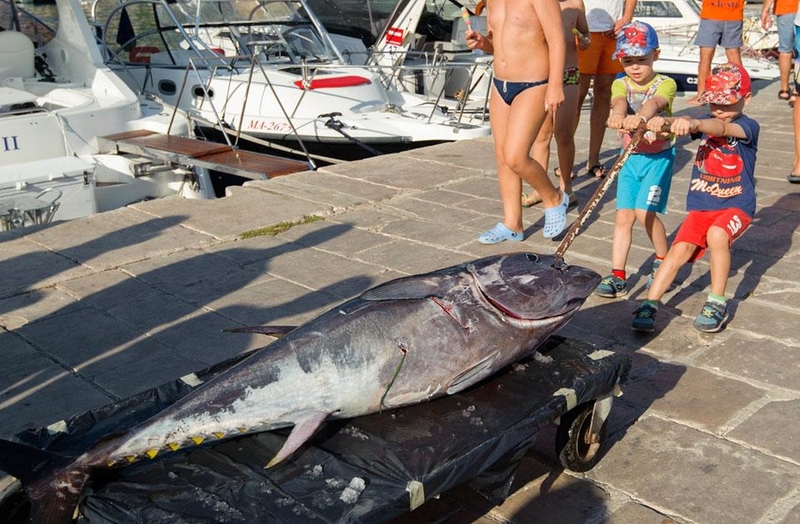 As you can see on the image above, there’s work for every generation once fishing in Croatia is considered. The photograph was taken in Komiza, a wonderful settlement on Island Vis. 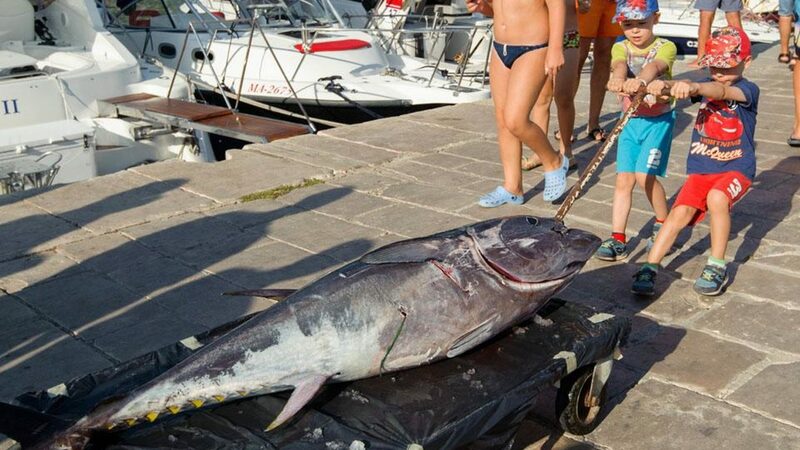 Tuna fishes are quite large in Adriatic, and are always an impressive catch, as proven by a number of competitions held annually on Croatian coast. Consider joining them, or just come for a final product- a tasty steak in your plate.